Thanks for this interesting study. 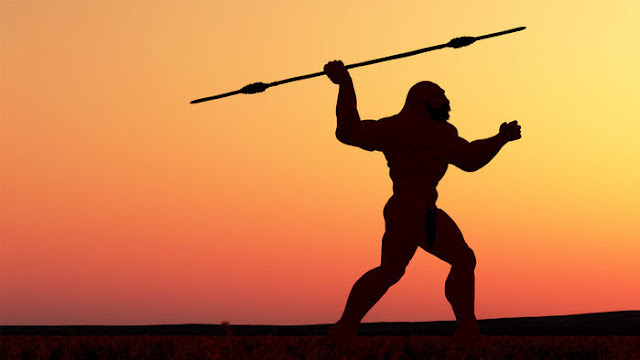 Nobody doubts that neandertals were as intelligent as we are, but that doesn't mean they could throw spears as well as trained human javelin athletes can. Neandertals had a heavier and broader body build than we have, their bones (e.g. in the arms) were thicker and brittler, their shouder joints were somewhat less cranially directed, they stood less high on their feet (e.g. they had shorter tibias) etc. 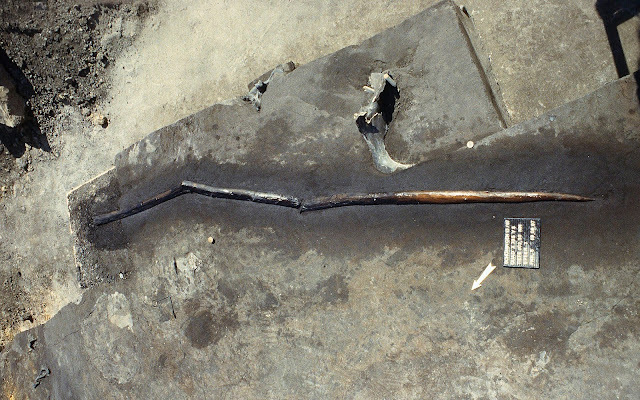 Even if they could throw spears as well as human javelin athletes (unproven, doubtful IMO), different independent lines of evidence (paleo-environment, isotopes, anatomy, traces of cattails on tools, traces of waterlily in dental plaque etc.) suggest European neandertals had diets between freshwater and coastal foods, and lived in rivers valleys, oxbow lakes and wetlands, but seasonally followed the river to the Atlantic or Mediterranean coast. Of course they butchered carcasses they found of stranded whales or waterside herbivores, but the first convincing evidence of hunting is from 120,000-year-old lake-shore deposits of neandertals using close-range thrusting spears (Gaudzinski-Windheuser cs 2018 Nat Ecol Evol 2:1087-1092). For an update of neandertal lifestyle, google e.g. "coastal dispersal of Pleistocene Homo 2018 Verhaegen" + refs therein. 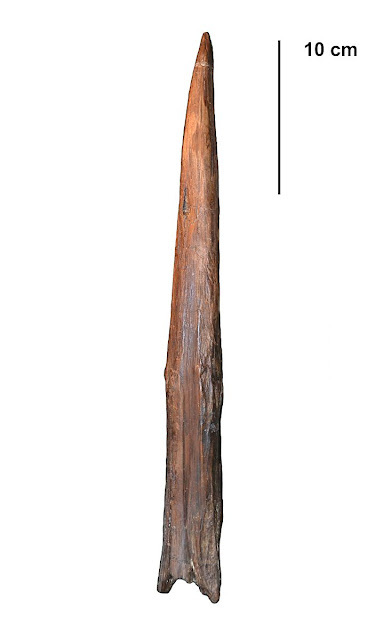 Taking into account that Homo sapiens have a gracile ossature compared to their more robust Neanderthal cousins, it is worth noting that even a minor gradient increase in bone density and structural thickness corresponds to a more powerful muscle and connective tissue apparatus, suggesting a potentially significant increase in overall body strength, which, regardless of their overall stature, Neanderthal most assuredly enjoyed. Again, compared to humans, the other great apes amply demonstrate this and, combined with their notably more powerful Myocyte muscle contractive strength, present as formidable and powerful. So if Neanderthal muscle tissue scaled even a little closer to the other great apes than to humans - the weakest of the other three surviving great apes, chimpanzee myocytes scale at five to seven times the strength of human muscle tissue - then Neanderthal could have been frighteningly powerful and therefore capable of hurling spears and projectiles far faster, farther and more accurately than sapiens ever could or could probably even imagine. Alas, we have no surviving Neanderthal muscle tissue to test this hypothesis, but we do know that a stone of, say, 800 grams accurately hurled at 100 miles an hour - think a really big and powerful baseball pitcher - would be sufficient to bring down an elk at fifty meters. Which also suggests why we don't find a lot of spears, as throwing stones for hunting have been available almost everywhere since time out of mind.